WHICH SPORTS GRANT A SCHOLARSHIP TO STUDENT ATHLETES IN THE US? Are you an athlete? Are you passionate about the sport that you practice? Would you like to study and play at a high and competitive level? If you have answered “yes” to any of these question, then this is the right post for you! Over the last weeks we have told you about American admission and how to achieve it. Today we want to tell you about the different sports that allow you to get an athletic scholarship at the United States and all the possibilities these offer. But first able we need to emphasize that in the States, as we have mentioned, sports are practiced on a very high level, and due to that fact 3 different athletic leagues coexist. All of them include a vast number of sports BUT not all the sports grant a scholarship in the States. Therefore, it is important to know what sports (and which not) do allow this opportunity within each league. Football, Soccer, Volleyball, Basket, Track and Field, Golf, Tennis, Wrestling, Baseball, Swimming, fencing, rowing, water polo…. 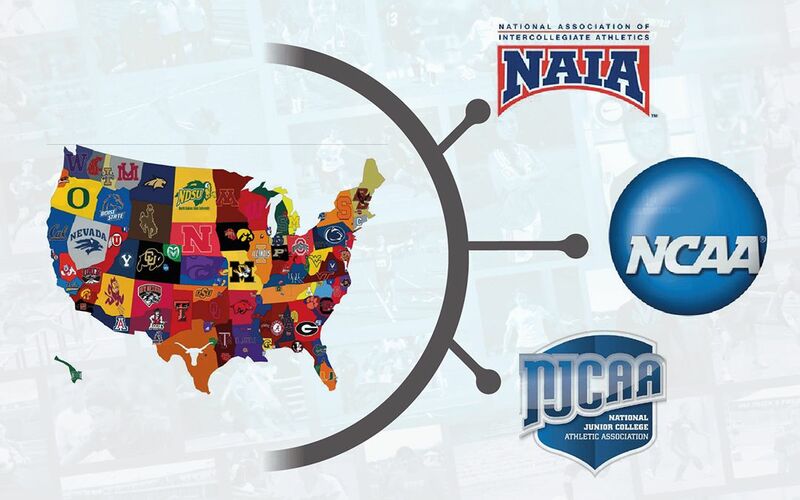 The National Association of Intercollegiate Athletics is the other main athletic league of USA, although its level is somewhat lower compared to NCAA’s. It has an unique division and generally every sport does grant an athletic scholarship to those competing. Remember to note that these scholarships cover (totally or partially, depending of your profile and capacities) tuition, room and board, besides the athletic costs. If you want further information or you are unsure about your sport and a possible scholarship, do not hesitate to reach out to us!